Every song has a story. Even in this sea of musical saturation, each creation is embedded with untold secrets hidden beneath what is publicly heard. We listen unbeknownst to what took place before the song reaches our ears. 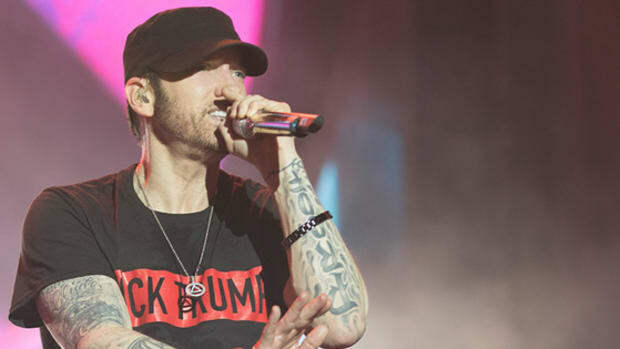 Eminem’s “Revival (Interlude),” featured on his new album, Revival, is 51 seconds in length. From start to finish, there are no raps performed. In fact, Em is completely absent on the song. Instead, listeners are greeted by tender keys and the sound of whistling―bare production stripped down enough to work at King of Diamonds. A woman’s voice comes next, uncredited and unknown. There’s beauty in her soft tone and how it glides over the gentle keys, tranquil as the whooshing sea heard within a seashell. Just as the song begins to crescendo, it ends. The meaning of “Revival (Interlude)” and how it ties into Revival the album is up for speculation. Eminem has yet to share his vision for the record and its diminutive length. 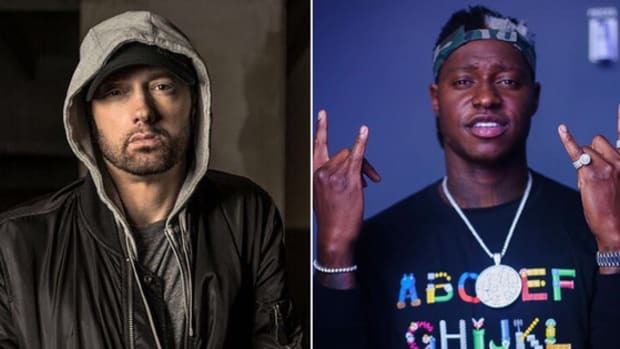 But the song is close to the hearts of Frequency and Aalias—the production duo behind Eminem and Rihanna&apos;s GRAMMY Award-winning hit "The Monster"—who now collaborate under pseudonym Whole Doubts. Together, the pair worked with Alice and the Glass Lake, the stage name of Alicia Lemke, the late musician, singer, and songwriter whose voice brings enchanting serenity to “Revival (Interlude).” In 2015, two years before the release of Revival, Alicia passed away due to complications from leukemia. Frequency’s intuition was precise. A return email from Paul Rosenberg, Eminem&apos;s manager, was positive, and he requested that they hold the record and not pass along the beat, which was close to the version that can be heard on Revival but formatted for someone to rap over at that point. Frequency says this is perfectly normal protocol, nothing out of the ordinary. Fast forward to late October 2013, "The Monster" is released as a single. 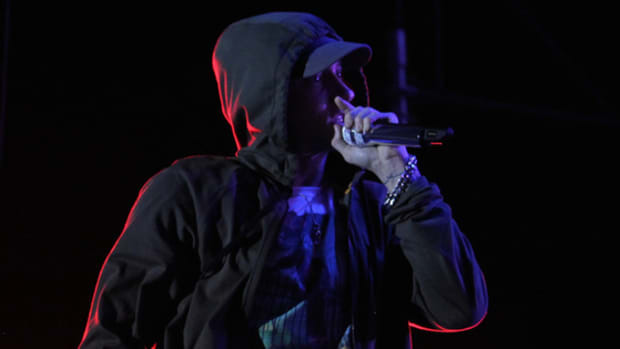 One week later, MMLP2 comes out, but there is no sign of "Revival." One year later, Shady Records drops Shady XV, a double-disc compilation album featuring 12 new songs—again no placement. Nearly eight months later, Shady Records releases the official motion picture soundtrack for Southpaw, with four appearances by Eminem—still no placement. This entire time, Rosenberg remained in touch. During this extended period of waiting, Whole Doubts continued working on new music. Together, they crafted songs for Bebe Rexha and Melanie Martinez. Frequency’s solo productions evolved from his roots in hip-hop to pop/rock projects—producing the debut album for Misterwives, working with American Authors, Adam Lambert and more—while Aalias turned his attention to alt-R&B and electronic music, producing “Middle” with DJ Snake, as well as records for Robin Schulz, Ro James and others. Indeed, one beat placement doesn’t stop the show. Tragically, during this time, Alicia is diagnosed with leukemia. Treatment halted the creation of her debut album, and though she worked with Frequency less, she stayed in touch and continued to inquire about their potential placement with Eminem. After her passing, Alicia’s family worked together to complete and release her 2016 posthumous debut, Chimaera. A week or two before the album is released, Frequency and Aalias are informed that "Revival" made the cut—as an interlude. 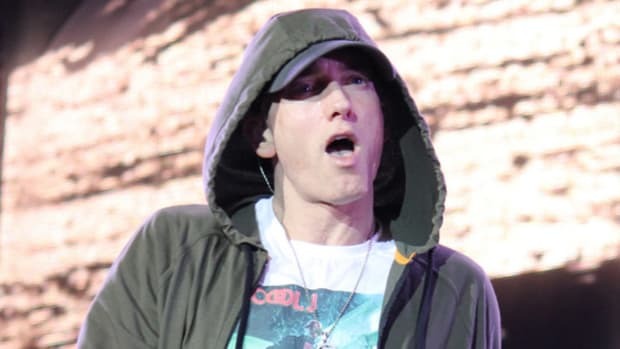 They hear that Eminem may have written verses for the song but isn&apos;t pleased with the final result. Rumors circulate that he may release a full version at a later date. With their heads held high, Frequency and Aalias remain positive, finding honor in their interlude as a respectful homage to Alicia. Em knew of her passing, kept her vocals untouched, and gave them a home on the album. He gave her voice a chance to stand alone, shining without him. She may have passed away before the release, but in its own way, the song revives her, if only for 51 seconds. Frequency and Aalias are understanding participants in an unpredictable business. Their story shows the spirit of perseverance and following through on a promise until the very end. They always believed in the song&apos;s potential and still believe that a version featuring Em rapping would be special. Fans on Twitter and Reddit have expressed a yearning for a full edition; if their desires reach Shady who knows what could happen. For anyone pursuing a career in any field of entertainment, the word "fair" is nonexistent. Fairness will not be encountered. 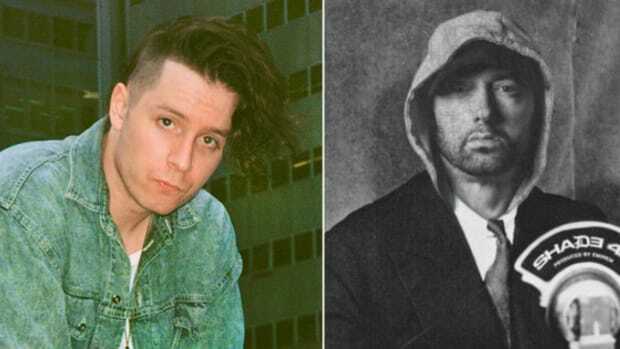 While some may say that Frequency and Aalias deserved more for the patience they exhibited, they consider the opportunity to work with Eminem as life-changing. Sometimes you’ll be the hit single, other times you’ll appear only as an interlude. Both are just moments leading to the next creation. In the end, they are grateful that “Revival” saw the light of day and that the world was able to hear the song they created with Alice and the Glass Lake five years ago—even if it’s just 51 seconds of it. Frequency and Aalias continue to crank out new records. Their debut single as Whole Doubts—“Leave” featuring Kevin Garrett—premiered in November, and a new collaboration with singer/songwriter DYLN is scheduled for a February release. And they&apos;re certain that, if she was here, Alicia would be in the studio with them, chasing inspiration with a new vision of what could be.